Will cloud gaming replace console gaming? The Nintendo Wii U and the rumoured Xbox 720 and PlayStation 4 will be the last generation of console hardware, according to Nvidia's cloud gaming boss. 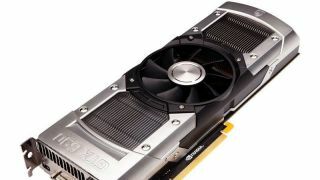 Phil Eisler, who heads up the GeForce Grid Cloud Gaming department, says improvements in technology and the lowering of server costs will mean the streaming experience will eventually become dominant. He told VentureBeat in an interview: "The thing about the consoles … they say this is the last console, and I am certainly a believer in that. The last one is almost 10 years old now in terms of the technology. "The good thing about cloud gaming is it's going to get better every year. One of the reasons we're investing in it is we see that there are some issues today, but they're all solvable, and they're all moving in the right direction. Bandwidth is going up. The cost of server rooms is going down. We're bringing latency down. "The experience will just get better and better every year, to the point where I think it will become the predominant way that people play games." Nvidia has been investing heavily in cloud gaming as part of its partnership with Galkai. Between them, the pair are convinced that cloud gaming is still the future, despite OnLive's fall from grace earlier this summer. One of the areas the GeForce Grid unit is focusing on is decreasing the network latency to match or even surpass traditional console hardware. Nvidia is also looking to secure deals for more "first-run content." He added: "The average gamer playing on an Xbox today with a standard television is probably experiencing 150 to 200 milliseconds of latency, and that's what they're used to playing with every day. "People worry about the network latency, but actually, in the whole pipeline, it's the smallest piece. Our monitors that we work with today are under 10 milliseconds of latency. "We think that, working with smart TV manufacturers, we'll be able to cut that time down. It's going to be possible very shortly to have a cloud-rendered experience that has lower latency than the current console plus standard television experience."